Explore touchy-feeling fabrics in a spectrum of inviting shades. Simply select your favourite for an inspiring new look. Browse our superb range of plain curtains and choose the perfect shade and fabric for your décor. We have hundreds of gorgeous styles to choose from to help you get exactly the look you want. Plain curtains look wonderful on their own, but also work really well when teamed with patterned blinds in complementary shades. Plain curtains can really help to set the mood in your interior. 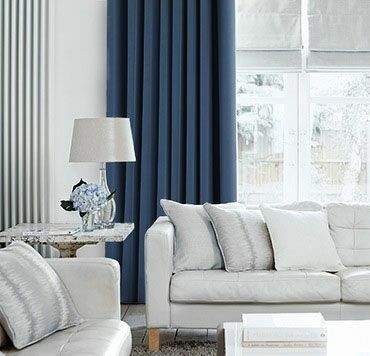 Choose plain curtains in a neutral shade for a stylish and understated look that will complement any style of décor. Or pick a textured fabric to give your room a sensorial dimension. Faux-silk adds a glamorous sheen, while a linen-look fabric will enhance a very natural scheme. And if you want your room to feel bright and airy, select a lightweight curtain, or for a sumptuously cosy feel, heavyweight curtains are ideal. 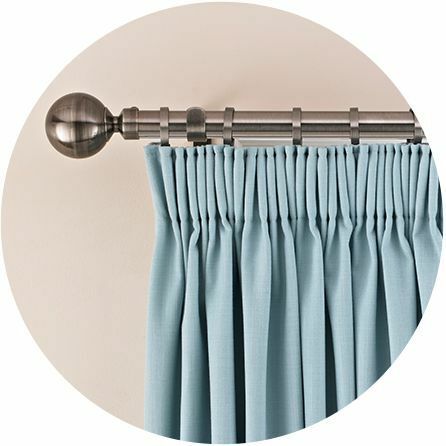 All our plain curtains come fully-lined as standard, and we also offer optional blackout and thermal linings too. 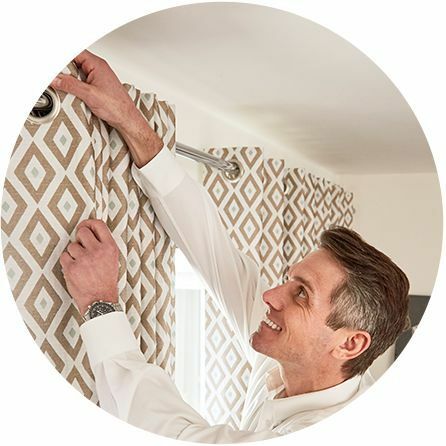 Your expert advisor is on hand to help you select the perfect shade and fabric for your décor as well as taking exact measurements of your windows. As part of our dedicated in-home service, we’ll also return to professionally fit your made-to-measure curtains for a fabulous finish.